The eruption of wisdom teeth is a major milestone of the human mouth transformation that takes place between the age of 17 to 21. Wisdom teeth, also known as third molars, give more chewing power to you and help you enjoy hard foods better. However, the teeth often grow incorrectly or abnormally and lead to many dental issues. In such cases, wisdom teeth removal becomes the only option to resolve those dental issues. Anthropologists suggest that wisdom teeth proves the evolution theory and the diet of our ancestors. Rough food, including meats, nuts, roots, and leaves, needed more chewing power and that resulted in the development of wisdom teeth in the ancestors. The modern diet that consists of softer foods and the use of spoons, knives, and forks reduced the need for wisdom teeth. Today, evolutionary biologists consider wisdom teeth as an organ that became functionless due to the evolution and changed food habits. Note that wisdom teeth do not erupt for some people. Even for people who do, the numbers differ from one to four. In rare cases, people may get more than four wisdom teeth. Though it can give you more chewing power, the removal of the teeth does not significantly limit your eating adventures. Why Does The Wisdom Teeth Removal Become Necessary? Human jaws became smaller throughout evolutionary history. Because of this, the jaws of many people do not have enough space to erupt or allow wisdom teeth to grow. Therefore, when wisdom teeth erupt, it is impacted or blocked by the adjacent teeth. In many cases, the teeth erupt partially, and it can make food trapped in the gum tissue surrounding the teeth. This can lead to the growth of microbes in teeth and surrounding gum and cause serious infection. If the wisdom teeth are tucked away, it can lead to a number of oral problems, such as displacement or crowding of permanent teeth. In rare occasions, improper wisdom teeth eruption can also lead to the formation of a cyst around the impacted wisdom tooth. Cysts are fluid-filled sacs that can damage adjacent teeth, cause bone destruction, and lead to jaw expansion. In extreme cases, the cysts may develop tumours that can end up with spontaneous jaw breaking. If you experience any wisdom teeth issues, consult with your dentist and remove it if required. While keeping wisdom teeth does not give any significant advantages, it can affect your overall oral health if not removed on time. • It grows towards the second molar. • Growth towards the back of the mouth. • Grow straight up but trapped within the jawbone. • Grow at a right angle to the second molar – “lying down” within the jawbone. • Infection or gum disease. • Trapping of food debris behind the tooth. • Damage to surrounding bone or adjacent tooth. • Tooth decay in partially erupted wisdom tooth. • Development of cysts around the wisdom tooth. • Ineffective orthodontic treatment results for other teeth. 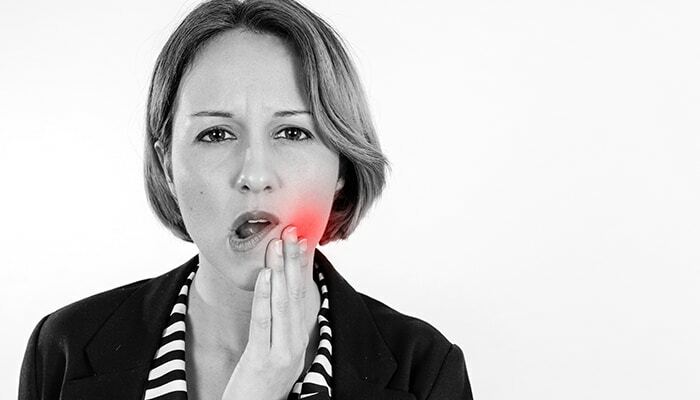 If you experience any of these symptoms, you should consult with your dentist. They will take an X-ray of your wisdom teeth and advise the need to extract it to save your other teeth. Wisdom teeth extraction for young patients is easier and less painful than it is for older people. The timely removal of wisdom teeth is important as late removals are complicated and cause excess pain. The recovery period for older people tends to be longer compared to youngsters. 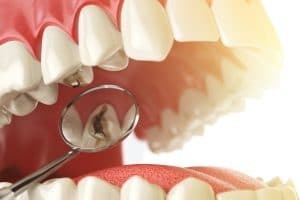 How Is A Wisdom Tooth Be Removed? It is an easy job for a dentist or an oral surgeon. They analyse the position and the stage of development of your tooth during the pre-extraction examination. The complexity of extraction varies according to the position and the growth stage of the wisdom tooth. Dentists use different procedures to remove the wisdom tooth based on the position and growth stage. A fully erupted wisdom tooth can be removed like any other tooth. Patients recover quickly after the extraction. Sometimes, dentists ask people to remove fully grown and functional wisdom teeth due to the inability to clean and maintain it. Note that such wisdom teeth can affect oral health and become vulnerable to various oral diseases. Many people agree that wisdom teeth care is challenging and ask dentists to remove it. Partially erupted wisdom teeth are mostly covered by gum tissue. Dentists make a flap cut in the gum to uncover the tooth. They remove the tooth with the help of a dental elevator and put sutures on the gum flaps for healing and recovery. Dentists extract the tooth under local anesthesia, and the whole process completes in a few minutes. The extraction of a partially impacted wisdom tooth is more complicated and can only be performed by specialists and oral surgeons. The dental surgeons perform a flap cut in the gum to access the tooth. Later, dentists perform some bone removal around the tooth. With the help of surgical tools, dentists cut the tooth into multiple pieces and remove it with the help of a dental elevator. If required, dentists place a bone substitute in the socket for quick healing. They finally reposition the flap and suture for recovery. The surgical process minimises issues such as trauma and ensures a speedy recovery. A fully impacted wisdom tooth requires the most complex extraction process. The wisdom tooth is fully trapped in the jawbone, and it requires an incision through the gums. Furthermore, dentists also remove a portion of the jawbone that lies over the tooth to access the wisdom tooth. With the help of microinstruments, dentists divide the tooth into multiple pieces and remove them using a dental elevator. They also insert a bone grafting material into the socket for total bone healing. Finally, the dentist will reposition the flap and put in sutures for the recovery. Dentists administer local or general anesthesia to their patients during the wisdom tooth extraction process. If you have received local anesthesia for the process, you can relax in the dental chair. People who have received general or sedation anesthesia are taken to the recovery room after the extraction. You may experience some bleeding on the first day of wisdom tooth removal. To control the bleeding, you can bite down a clean, moist gauze on the empty tooth socket. Moistened tea bags are another great alternative to control the bleeding. Try to avoid spitting and rinsing for 24 hours to prevent the bleeding. You can also avoid drinking hot liquids and “sucking” actions for quick recovery. Some patients experience facial swelling where the tooth is extracted. You can place an ice pack, wrapped in a clean cloth, on the face where you are experiencing swelling. Put it on for 10 minutes and keep it away for 20 minutes. Repeat the process multiple times during the initial 24hour period. Dentists may give you pain medication to alleviate pain. If they did not provide you with prescribed medication, you can use over-the-counter medications such as acetaminophen to manage the pain. Rest for the entire day after the surgery. From the next day, you can resume the normal activities. However, it is highly recommended to avoid strenuous activities for a week to avoid bleeding and swelling. While drinking lots of water after the procedure is encouraged, you should avoid drinking carbonated, alcoholic, and caffeinated drinks for the first 24 hours. Also, eat only soft foods, including applesauce or yogurt, during the initial 24 hours. Try to avoid hard, spicy, and hot foods until you are completely recovered. Avoid brushing your teeth, rinsing your mouth, and using mouthwash in the first 24 hours after the surgery. Dentists will advise you to brush after 24 hours. You should gently brush around the surgical wound for a week to avoid irritating it. Gently rinse your mouth with slightly warm saltwater after every meal for a week to ensure quick healing and recovery. • Difficulty in swallowing or breathing. • Severe pain, even after using prescribed pain medications. • Loss of feeling or persistent numbness. • Swelling beyond two or three days. • Pus or blood in nasal discharge. • A bad taste in the mouth, even after rinsing with saltwater. Note that these symptoms and signs indicate nerve damage, an infection, or another complex dental condition. Consider your overall oral health and remove your wisdom tooth if they impact your other teeth or affect your oral health. Apart from oral issues, wisdom teeth can cause sinus issues, such as sinus pain, congestion, and pain as well. Struggling With A Wisdom Tooth? Bay Street Dental Group have great expertise in wisdom tooth extraction with our expert dental specialists and state-of-the-art tools. We assure you safe, painless, and affordable extraction after evaluating the position and growth stage of your wisdom tooth. You can book our wisdom tooth extraction services online. You can also call us on (03) 9646 2577 with your questions. We are excited to work with you.